Last year I created a four seasons unit where we made a poster describing what we see, feel, wear, and smell in each season. I used it for my early language learners in general education classes as well when pushing in to the self-contained autism classes. 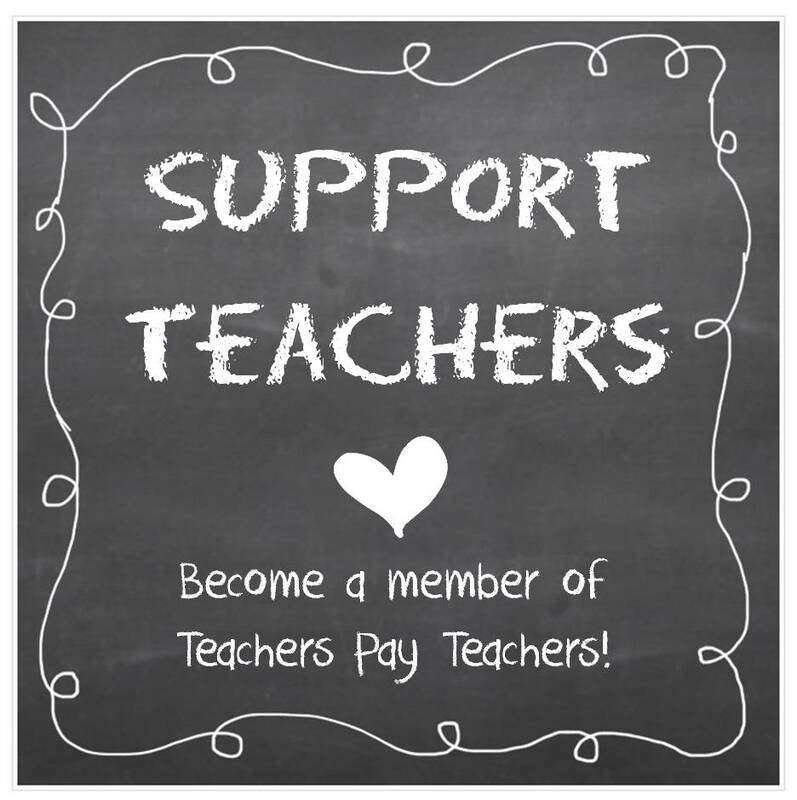 It would also work well for preschoolers. It’s very versatile for various ability levels and language targets, and has become a popular freebie in my TPT store. Several people asked for a visual of the finished product, so here you go! I differentiated this activity based on the various needs of my students. 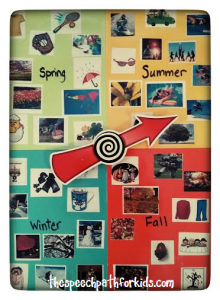 Group 1 (early language learners) – We completed the page that describe the senses for just one season (working vertically along the poster). 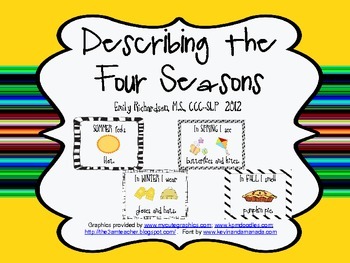 We described all about the one season using the completed poster as visual reference. 1) Spring feels, 2) In the Spring I wear, 3) In the Spring I see, 4) In the Spring I smell. I kept the piece of paper intact with all four squares while they cut and sorted the pictures to complete their page. We then cut apart the piece of paper into the four sections to make the vertical column. It took us around 4-5 sessions to complete the entire poster and share with the group. 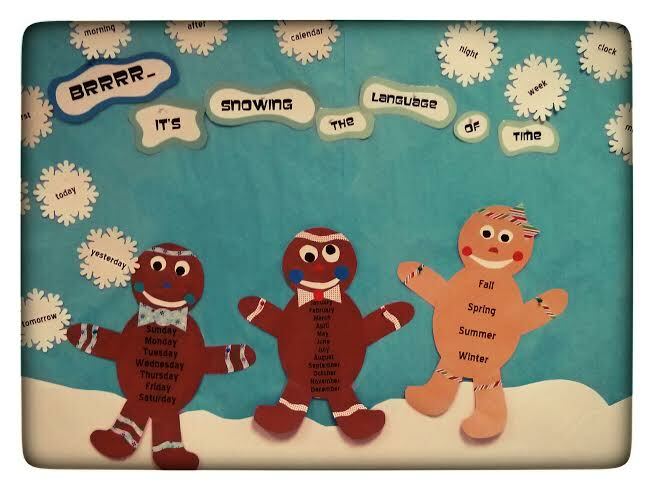 Group 2 (middle language learners) – We completed the page that describes one sense for all seasons (working horizontally across the poster). This allowed us to contrast each season. They completed their page then build their poster by rows. It took us around 4-5 sessions to complete the entire poster and share with the group. 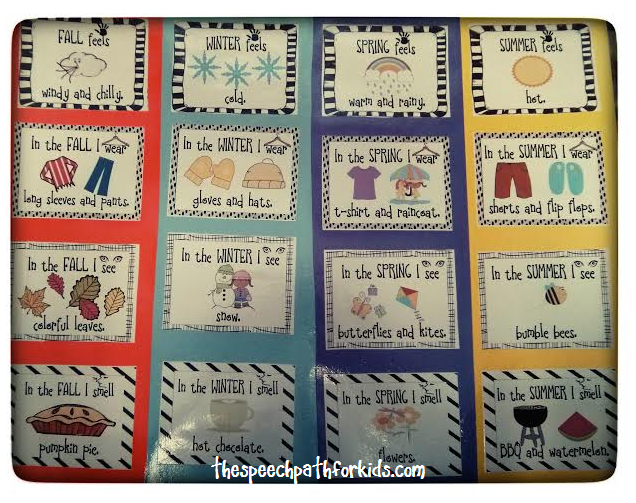 Each student will be able to make a choice of their favorite season and provide supporting reasons using the choice strips. Some students did this verbally, others completed the written version first. You can find this set of 3 magnetic spinners through educational catalogs or on Amazon. They are awesome! I use them on my board when I’m in my room, or with a cookie sheet behind the poster when I am traveling. If you don’t have a spinner you could put a number in each corner and roll the dice to choose the season. Or you could make a dice with colors on each side (corresponding to the four colors of the poster). To make the poster, I just taped four pieces of construction paper together to make a larger poster (I wanted the four colors to make a distinct separation between the four seasons). Then I used pictures from Google images and Boardmaker. 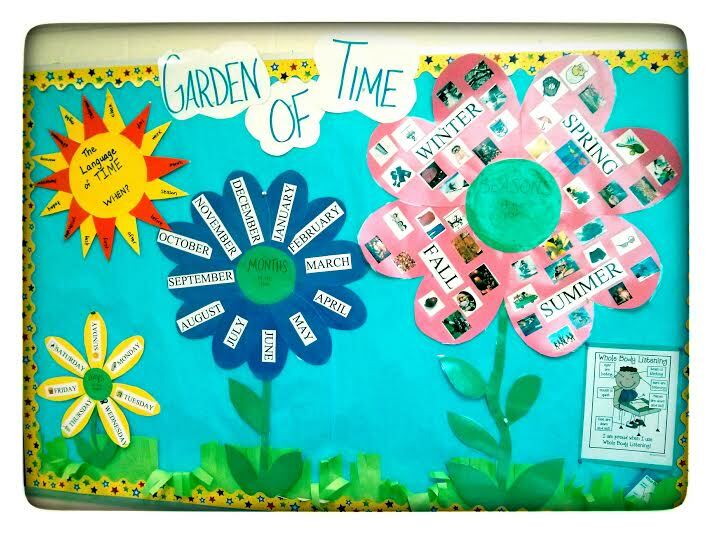 While we are on the subject of the four seasons, I have two examples to share with you of bulletin board sized anchor charts that I use in my room. I use the “Garden of Time” as a visual reference of how time starts out smaller in days, and grows into weeks, months, and seasons. I changed the presentation up a little when the weather turned cooler. Next up I’m going to put some penguins on my snowy hills. I really liked having pictures depicting the seasons, so I’m going to find a way to incorporate that again. I am ALWAYS talking about the language of time…days, months, seasons, before, after, day, night, when, first, last, etc! I found that having this information visually represented in my room was a helpful resource. It is right behind where I generally sit, and I use it frequently, so I often point to the visuals without even needing to turn around and look! I’d love to hear your ideas when it comes to teaching the language of time or the four seasons! Thanks for stopping by!